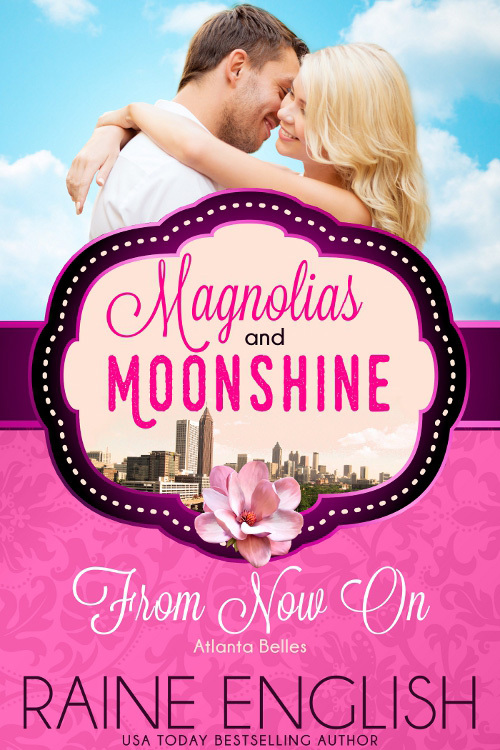 Step into the world of the South with the Magnolias and Moonshine series. Twenty New York Times, USA Today, and Amazon bestselling authors joined together to bring you a taste of Southern charm. A new novella will be released daily beginning April 10th through April 30th. My contribution to the series is FROM NOW ON. When Whitney Adams discovers her first love is back in Atlanta, she can’t help but wonder if they might have a second chance at love. But after she learns there’s more to his kisses than wanting to rekindle their romance, she isn’t about to let her heart rule. Cash Galloway has never forgotten his high school sweetheart, so when he might have another chance with her, he’s elated. However, his happiness is short lived once he discovers his new dream job involves acquiring Atlanta Belles—Whitney’s popular salon and spa. Will Cash lose the perfect woman a second time, or will love prevail? 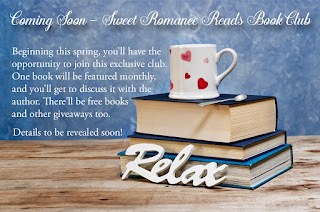 Preorder FROM NOW ON today at the following retailers for just $0.99 and have it delivered to your ereader on April 24th. Best wishes, Raine. Sounds like a great story! The story sounds intriguing, and I love the cover. 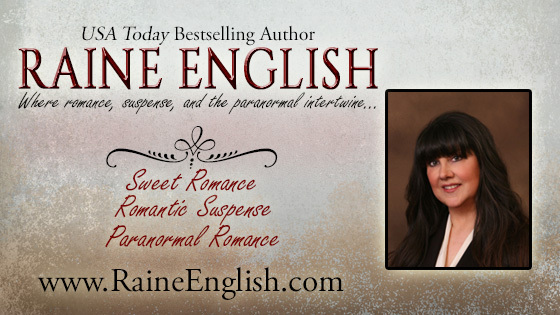 Can't wait to read your story, Raine! So fun to participate in Magnolias and Moonshine with you! Thanks, Shanna! It's such a fun series. Can't wait for RT! The story sounds great and I absolutely love the cover! 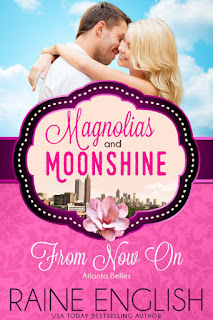 Can't wait to enjoy Southern romance through this clever series concept!